Natalie Portman is a shoo-in to win a best actress Oscar nomination at tomorrow’s announcement of the Hollywood jamboree’s short list. 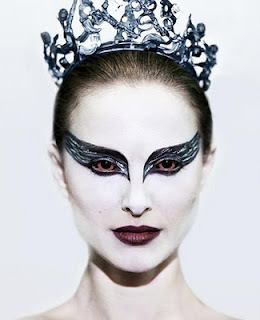 I caught up with Black Swan at the weekend and, admittedly not knowing the competition, she will take some beating. Portman is a consummate artist and, as a person, a credit to her profession. If she walks off with the Oscar, however, she will deserve it for passing muster as a leading ballerina, rather than her acting skills in the part of the tragic Nina. Garden State, Closer, even right back to Leon, commanded more nuanced performances than that demanded by Black Swan, where Portman uses the same tortured expression and hysterical tone throughout – unless she’s masturbating. I’m sure you know the main driver of the movie’s plot – Nina is perfect to play the virginal White Swan in a new production of Swan Lake but can she get in touch, so to speak, with her dark side to play the seductive Black Swan? I would hate ever to spoil anyone’s enjoyment of a film by giving away crucial details be it in this blog or face-to-face with family and friends. Equally I’m wary when reading reviews ahead of going to the cinema myself. Box office prices are too steep to waste money so I will consult reviews but in such a way I can switch pages if it looks as though a spoiler is on the horizon. I changed my routine with Black Swan. I knew I wanted to see the film and reasoned that I need not read any reviews in case I spoiled the impact of director Darren Aronofsky’s surprises. This was a mistake. Not having been alerted to the film’s influences – deliberate or coincidental – I found it difficult to concentrate solely on the story on the screen. Was I witnessing cases of cinematic hommage or grand theft? Was I the only one who saw shades of The Red Shoes, Repulsion, Rosemary’s Baby, Carrie, even Showgirls in Black Swan? Once home and online, I soon realised that such thoughts were far from unique. With a little bit of homework I would have enjoyed the film more as a camp melodrama/horror movie – and worried less that we never really know Nina. Despite these reservations Black Swan is a must-see movie – and I’ll watch it again when it goes on rental release. The King’s Speech is a much more worthy candidate for the best movie Oscar but I’m in no hurry to re-visit King George VI’s battle to master his speech impediment.